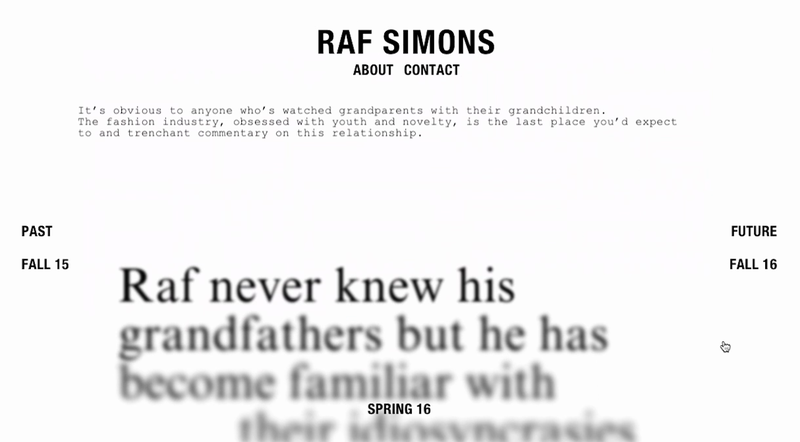 Fashion label Raf Simons' site is as much about the words as it is the product. 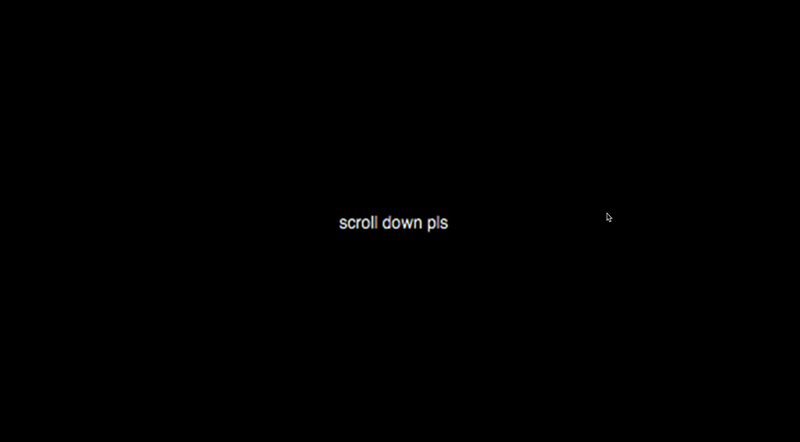 The forced one-way scroll and movement of the text are nice touches. 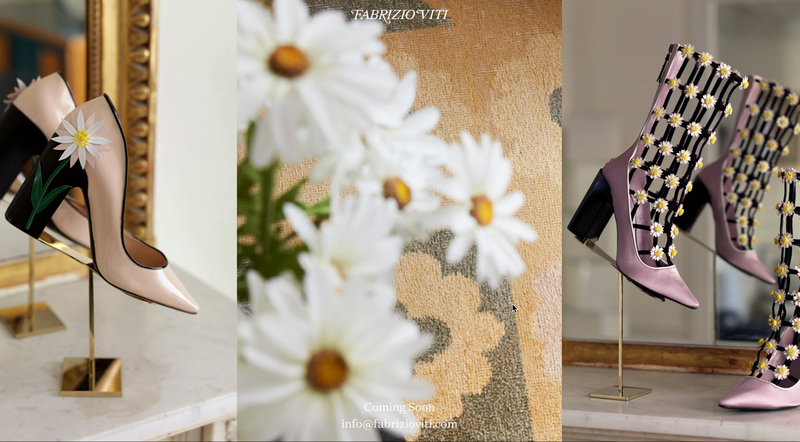 We don't know who Daniel J Harvey is, what he does, or if he's any good at it, but none of that matters now. 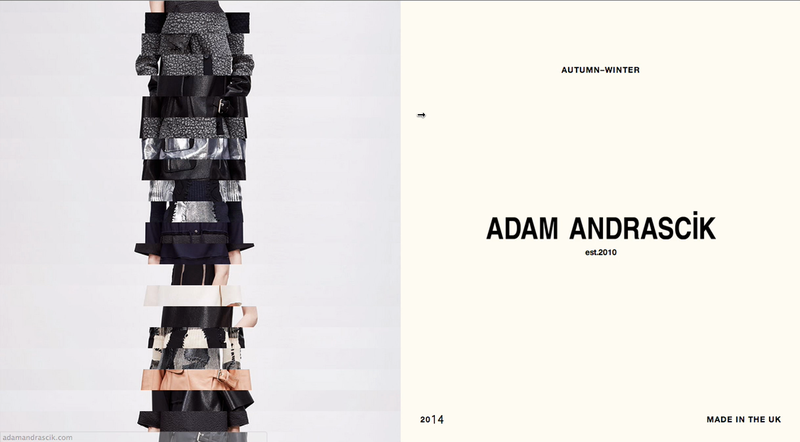 A novel, visually striking image switching mechanism on this lookbook for designer Adam Andrascik. 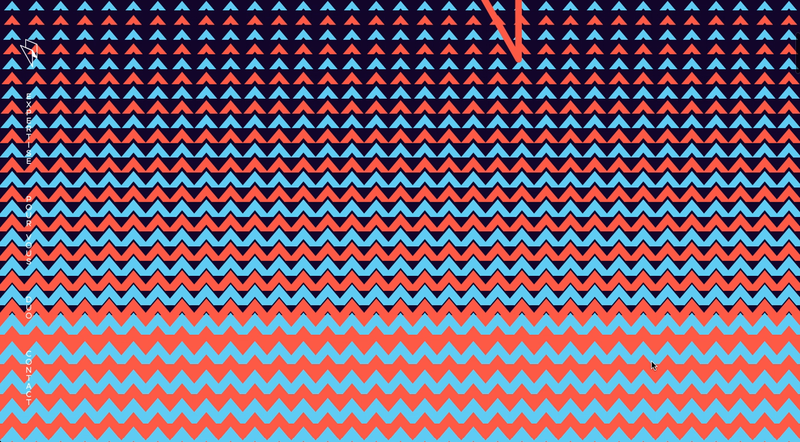 Panache employ a clever use of overlapping patterns to create these optical motion graphics as you scroll down the page. 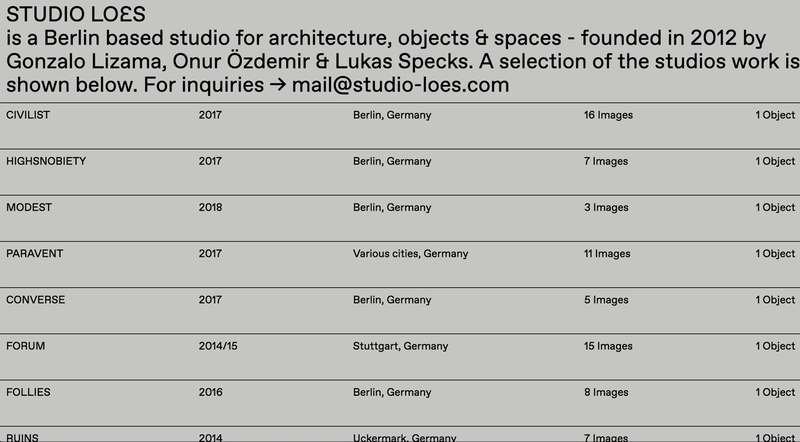 A very architectural site for Studio Loes, whats starts as a simple list evolves though blurs and overlays to 3D models.